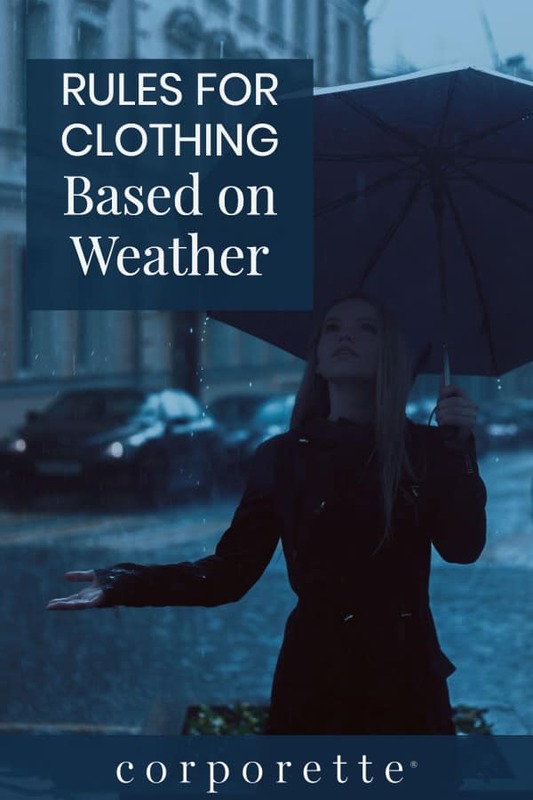 So here’s a fun question for today: When traveling, what are your rules for clothing based on weather? If you’re packing for a trip and hear that temperatures are expected to be in the low 70s, what does that mean for you? Do you have hard cutoff temperatures for things like sandals, tights, hats and gloves, and more? If you’re traveling for business, where is the pantyhose/tights/bare-leg temperature cut off, or open-toe versus closed-toe rule? Have you found any amazing pieces (scarves or cardigans, for example) that are so lightweight and effective across a wide spectrum that you ALWAYS pack them? To back up a bit: Earlier this week, my husband and I took a “long date”/mini-vacation to New Orleans*. Before we went, I was totally flummoxed looking at the weather. 60s during Sunday evening. Raining but in the high 70s on Monday. Then in the 40s or 50s on Tuesday when we left. Soooooo… what does one pack for weather like that? I kept remembering a trip I took to Germany years ago, where the forecast had said 70s, so I happily packed dresses and sandals and was FREEZING the entire time. I wound up buying some great jackets on that trip! (I also bought sneakers because my feet were cold!) For NOLA, my guesses were mostly correct (lots of layers!) with the exception of Monday morning before the rain started, when it was high 70s and super humid. We were walking around Tulane’s campus, where my husband went for undergrad, and I kept passing girls wearing dresses with sandals and feeling Super Frump Tourist with my tall rainboots and hooded rain jacket, and sweltering in my ripped skinny jeans and t-shirt. Once it started to rain and the humidity broke, I was much more comfortable! So let’s hear from you, ladies: When traveling, what are your rules for clothing based on weather? What do you always pack when there will be a wide range of weather fluctuations? * Before anyone asks: yes, NOLA was amazing! I combed through reader comments before I went, and based on a lot of those we stayed at the Hotel Mazarin (lovely! ), ate at Commander’s Palace (OMG — I expected it to be romantic and fancy but not necessarily great food, but it was probably one of the best meals I’ve had in my life! ), and wandered the French Quarter and Tulane’s campus, and also made stops to Domilise’s for po’ boys and Tipitinas (which is a music venue, but we went midday because my husband needed a new hat to replace his decrepit one from his college years). We also tried to make reservations at Galatois (fail) and Meril (which closed at the last minute due to some technical problem, but was just as well because we totally ate and drank too much just wandering around the French Quarter). Great visit in the limited time we had. Sort-of threadjack for a 1st world problem – people who own second homes in cold-winter climates, how do you weatherproof your place if it’s empty? We plan to use our place at least once a month so I don’t want to do a full shutdown if it can be helped. I already have a wifi thermostat set at 58. Looking into a wifi leak detector (put it where?). We keep our thermostat set to 62 degrees, but we have a gas boiler so this doesn’t cost much. We had some water shutoff valves installed so that we can turn down the water heater heat to just the pilot light, shut off the cold water into the water heater, and shut off the cold water for the rest of the house. We also leave cabinets in the kitchen and bathrooms open as well as the doors to those rooms so that the general temperature in the house includes the pipes. The thing that has been most helpful to us though is to have a caretaker stop by once a week. She checks to make sure nothing is leaking and that our radiators are all working. I think SimplySafe has a leak detector. I’d put one by the water heater, by the laundry and under the kitchen and bathroom sinks. I have the HARDEST time packing for weather like that. Basically, I like to pack for HOT because then I just try to wear as little clothing as possible. I have the hardest time envisioning the difference between 40 and 50 and 60 and 70. Me too. Fortunately, I only travel within the Northeast for my job, primarily within NYS, and once in a while to Pitsburgh. The weather in Pitsburgh is very wet and cold b/c Dad says it is near the Great Lake’s. I know I do NOT like goeing there in the winter, but I have to go b/c we recruit there b/c the manageing partner went to school there and there are some of his friends who have kid’s there. But I take an airplane and that is better then driving. Clotheing for me means wearing stuff I do NOT mind getting filthy in the cabin b/c they do NOT clean the cabins that well between flights and there was a problem recently where a person sat down and ruined her clotheing b/c the person who sat there before had problems with her tuchus. FOOEY! I try to always pack a rain jacket. That’s really my only rule. As for work, traveling for work usually means traveling to go sit in a freezing cold conference room, so I generally opt for closed toes and pants. +1. I pack a raincoat and versatile layers. Last time I traveled in this weather, I packed a rain jacket with removable thermal lining. But I found it wasn’t warm enough. Any recommendations for a truly warm coat that can handle rain? If you’re talking about true pouring rain that you’ll be playing tourist in, then I recommend a proper waterPROOF (not water resistant) rain jacket. And since they don’t really ever come with insulation, you’re better off getting a light down jacket to wear under it for the cold. Alternatively, wear your regular temperature-appropriate water resistant fall/winter coat and make sure you carry an umbrella everywhere (or make sure your hotel has one to loan you). My spring trip to Europe had this kind of problem. I did London, the Isle of Skye and Scottish Highlands, and Paris. I saw sleet and 30 degree temperatures in Skye and it was 90 in Paris just days later. I had planned for 40s-80s so it was a bit of a shock. Still, my plans mostly worked. In Scotland I wore lots of layers, had thick socks. I had a tiny rain jacket, my fleece (that doubled as a cozy plane item), and thick cardigans over tees. In Paris, I had planned a variety of outfits but on day 1 my top and cardigan got so sweaty since we couldn’t check into our room. It was the first day of 3 planned days of wearing the cardigan so I shifted all of the tops so I could wear them back to back with the already-sweaty aqua cardi to avoid making another sweater smell bad. I didn’t wear the sweater much but carried it with me in case museums or churches required it. I also made sure to carry a bag big enough to fit the sweater or rain jackets but small enough not to get me kicked out of museums and castles. I also carried a water bottle wherever I went; having cold water helped me regulate my temperatures better. In the end, I probably wished for 1 more sweater and 1 more tank top and could have done without my vest and long-sleeve tee outfits since there was no real middle ground but I did okay. Don’t try to pack light. It just means you’ll be unprepared. Assume the forecast is in the ballpark, but that there will be hotter afternoons and colder evenings than are predicted. You’ll pack better if you go by the midpoints — that is, 75 and above is very warm weather clothing; 65-75 is between cool and warm; under 65 you need sweaters.